The workshop is based in Alaska’s Lake Clark National Park, an area with overwhelmingly beautiful scenery, low numbers of visitors due to its remote location, and a thriving bear population. 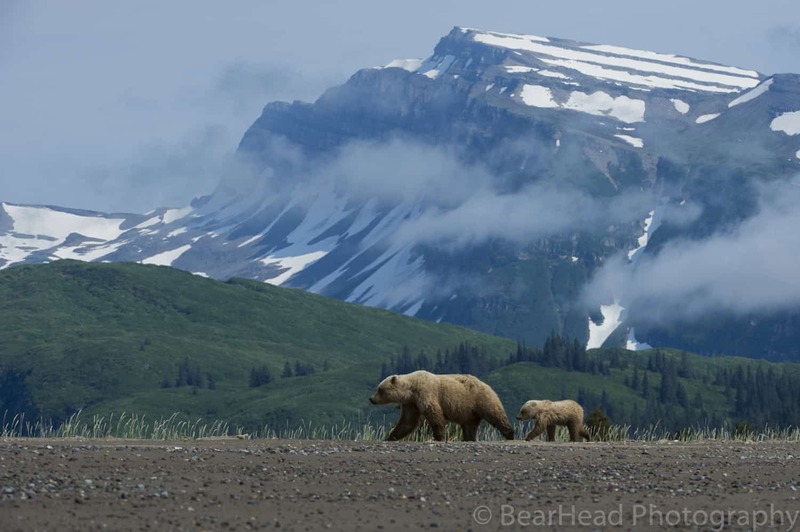 Since the bears here have never been hunted and have become habituated to people, the national park presents incredible and unique photographic opportunities. 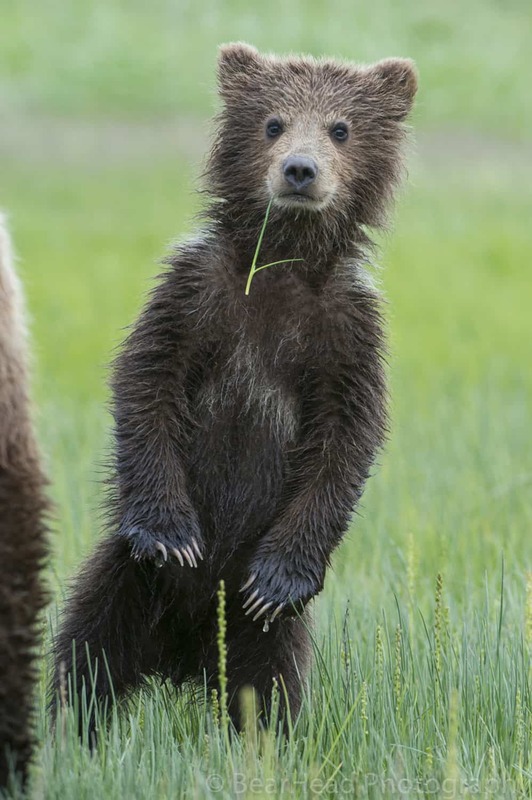 As a participant, you’ll spend your days photographing cubs, females, and male bears in a wide range of behaviors and habitats, framing them in their mountainous environment. 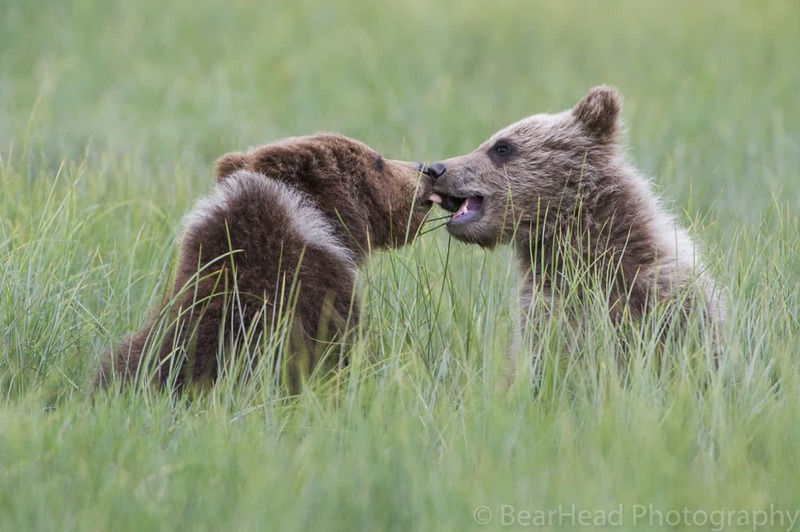 Throughout this bear photography workshop, you’ll be guided by Barrett Hedges, an award-winning professional photographer with a wealth of knowledge on bears and the national park. You’ll be sure to sharpen your photography skills, have a wonderful wilderness adventure, and go home with an impressive portfolio of images. You can view our other wildlife workshops here. Lake Clark National Park is a pristine setting. With its tundra-covered hills, glaciers, volcanoes, major rivers, and stunning coastline, the area featured a spectacular array of landscapes. Despite its incredible beauty, the park has a wonderfully low volume of visitors, due to its remoteness. The park is home to a large population of coastal brown bears, drawn here by the foraging and fishing opportunities the area provides. The bears are protected and have never been hunted, which allows us to come unusually close to them. For the duration of the trip we will stay in a comfortable lodge located in the midst of this habitat. 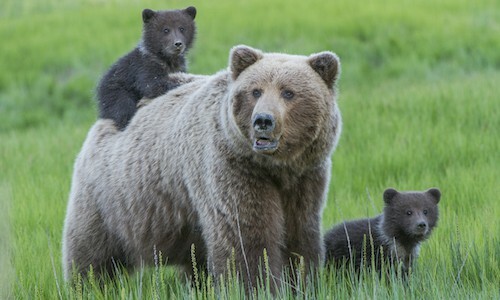 In fact, brown bears are common visitors to the lodge and property and can be found on any given day grazing, resting, or playing in the front yard. 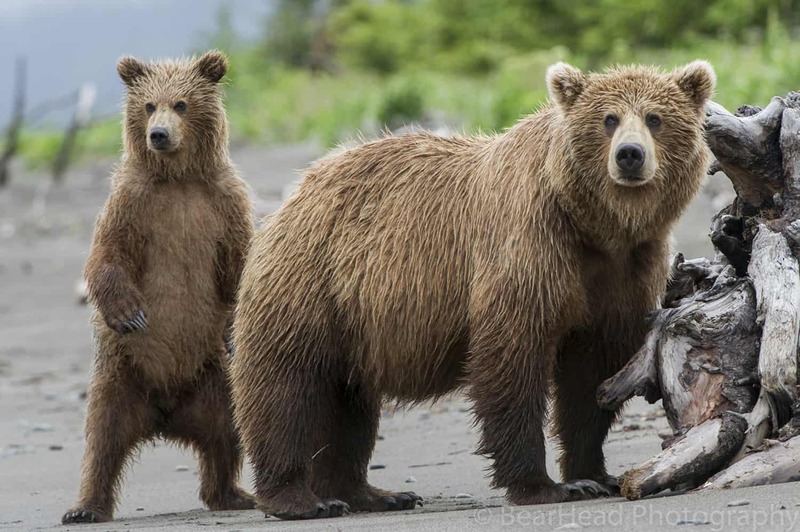 To reach this idyllic destination we will fly in on a small aircraft (hour and fifteen minute flight time) from Anchorage, landing on a beach in front of the lodge, where we will be greeted by our hosts and often by the bears themselves. If the weather is good, we can see Mount ReDoubt, Mount Augustine, and Mount Illiamna, all active volcanoes, on the flight in. 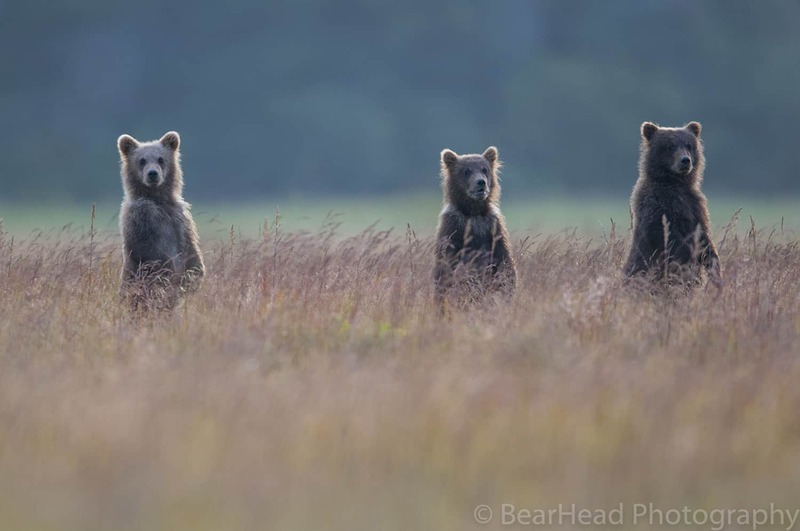 This trip will be an immersion in brown bear photography: we will spend our days in the field photographing cubs, females, and male bears in a wide range of behaviours and habitats. As the bears in the area are protected and have never been hunted, they are habituated enough for us to observe and photograph them from up close. Expect to take the best bear photography of your life! And due to the nature of the setting, there will also be plenty of opportunities for incredible landscape photography. Photographic instruction and guidance by Barrett will be available at all times to ensure you are able to make the most of your time in the park. During downtimes, and most of the time we will be out in the field shooting, we will focus on camera settings, photo sharing, and constructive critique designed to help you master the techniques necessary to bring home great images. Lake Clark National Park is a pristine setting. With its tundra-covered hills, glaciers, volcanoes, major rivers, and the stunning coastline, the area featured a spectacular array of landscapes. Despite its incredible beauty, the park has a wonderfully low volume of visitors, due to its remoteness. The park is home to a large population of coastal brown bears, drawn here by the foraging and fishing opportunities the area provides. The bears are protected and have never been hunted, which allows us to come unusually close to them. For the duration of the trip, we will stay in a comfortable lodge located in the midst of this habitat. In fact, brown bears are common visitors to the lodge and property and can be found on any given day grazing, resting, or playing in the front yard. 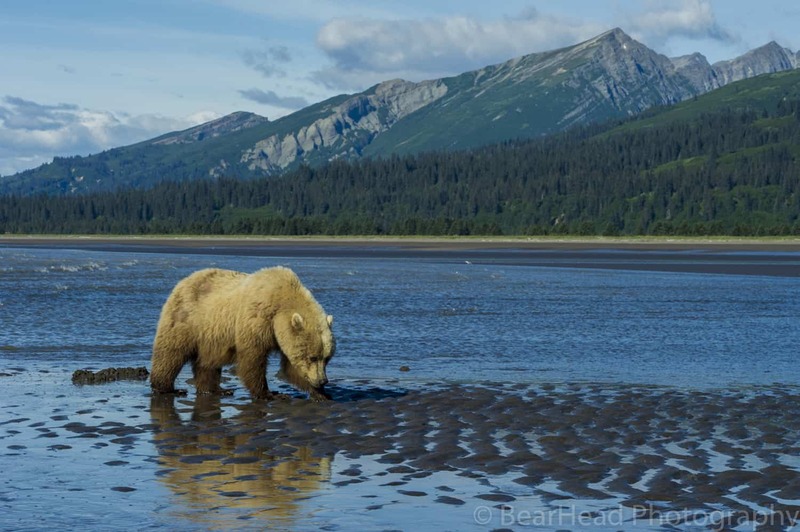 To reach this idyllic destination we will fly in on a small aircraft (hour and fifteen minute flight time) from Anchorage, landing on a beach in front of the lodge, where we will be greeted by our hosts and often by the bears themselves. If the weather is good, we can see Mount ReDoubt, Mount Augustine, and Mount Illiamna, all active volcanoes, on the flight in. We’ll meet in Anchorage, where we will board a small plane for a scenic hour-and-fifteen-minutes flight to our stunning destination. If the weather is good, we can see Mt. ReDoubt, Mt. Augustine, and Mt. Illiamna, all active volcanoes, on the flight in. We’ll land on a beach in front of our lodge, and will be greeted by our hosts. After settling in, we’ll head out to start our photographic adventure. 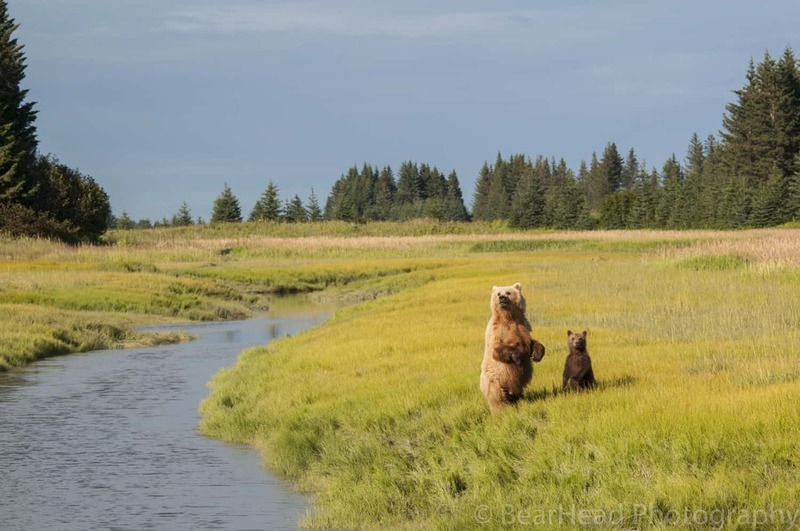 We will spend our days working the coastal terrain, photographing bears grazing in the meadows, digging for clams, walking the beaches, and caring for their cubs. The bears are protected and have never been hunted; therefore they have become habituated to us and allow us to be close at times. We will enjoy the services of a professional bear guide whose knowledge of bear behavior and the local terrain will be invaluable as we seek the best photographic opportunities possible. Our guide will also drive us between sites via ATV, in a comfortable trailer that will provide us the necessary mobility to provide maximum photographic opportunity. After we have found a bear we want to photograph, we will get out and walk toward the bear and set up and begin photographing. After a last morning in Lake Clark National Park, we’ll set off on the stunning flight to Anchorage, where we will go our separate ways. Barrett Hedges is an award-winning wildlife photographer based in the United States. Since he was a young boy, Barrett knew he wanted to be a wildlife photographer. His innate love for nature, and his passion for capturing the beauty of it, motivated him to study photography at Carson-Newman Collage in Tennessee. 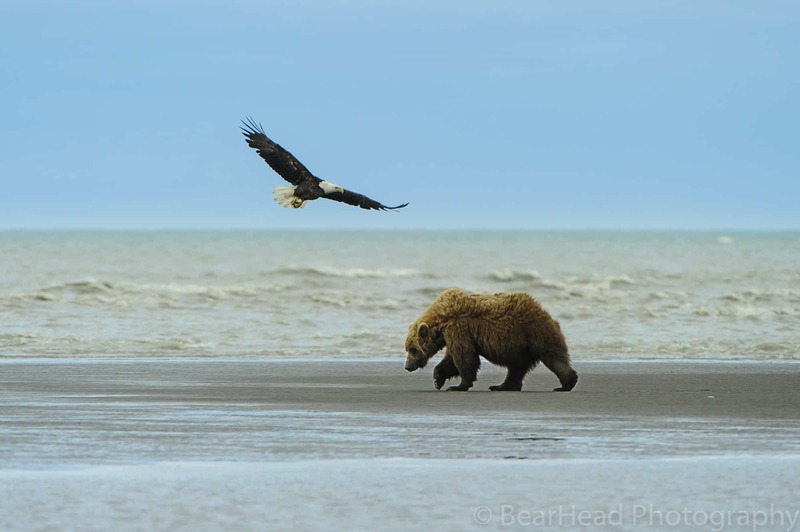 After he graduated, Barrett started exploring wildlife photography in various wild and remote regions of the country, including Alaska, where he focused on photographing bears. In 2010, Barrett was the Grand Prize winner in the National Geographic Energizer Ultimate Photo Contest for his photo “Coming At You;” an image of a large grizzly bear running straight at him. Barrett is passionate about sharing his knowledge of both photography and wildlife with other photographers, and is an experienced workshop leader.